Select a pipe of sufficient diameter for the desired excavation width. A 1-inch diameter PVC pipe generally creates a hole suitable for feeding wires through. Dig a small trench on each side of the concrete slab. 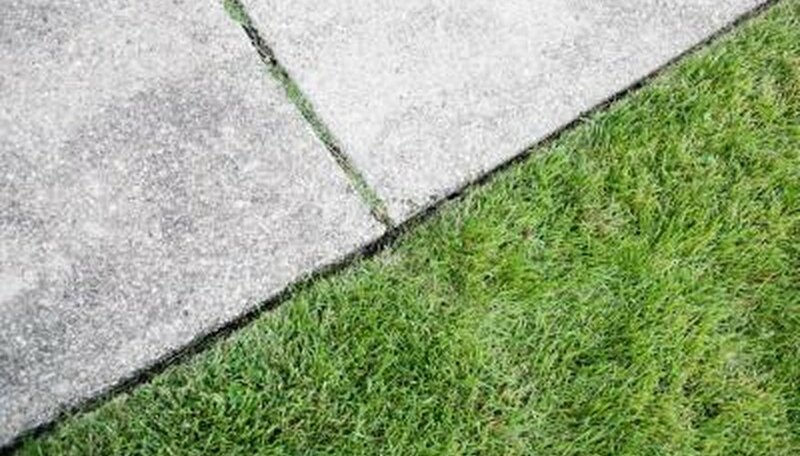 Excavate the ground in an area approximately 1 foot wide, about 3 to 4 feet long and approximately 6 inches below the paved surface of the slab. Ensure that the trench has sufficient width and length to allow insertion of the pipe slightly under the slab and on the opposite side where the pipe will emerge. Measure the width of the concrete slab. Add a couple of feet to this measurement. Put the safety goggles on. Place the PVC pipe in your miter saw and cut one end at a 45-degree angle to create a sharp drilling edge. Push the angled end of the PVC pipe into the soil in the trench on one side. Choose a side that allows as much working room as possible. Aim the pipe directly toward the trench on the other side of the slab. Tap the other end of the PVC pipe with your sledge hammer. Drive the pipe under the slab with a series of strong blows to the exposed end. Feed your electrical wires through the excavated tunnel. Choose a sledgehammer heavy enough to push the pipe under the slab. Leaving the PVC pipe in place after the excavation makes it easier to feed the wires under the concrete.